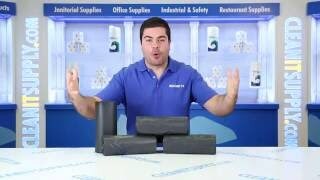 Boardwalk designed their low density garbage bags to offer heavy-duty capacity for the disposal of all types of trash, including sharp objects. Appropriate for the biggest clean-ups around facility grounds, cafeterias, warehouses and more, these 60 gallon garbage are constructed with a star seal bottom to help the bag conform more easily to the garbage receptacle and provide virtual leak proof performance. 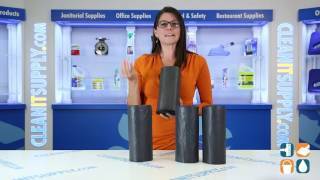 These black plastic garbage bags are packaged in coreless, perforated rolls for easy dispensing and reduced waste. 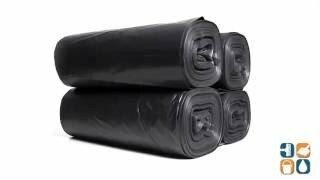 An economical commercial garbage bag for any location, Boardwalk 60 Gallon Black Garbage Bags meet government guidelines for recycled garbage can liners. Stock up today and save!